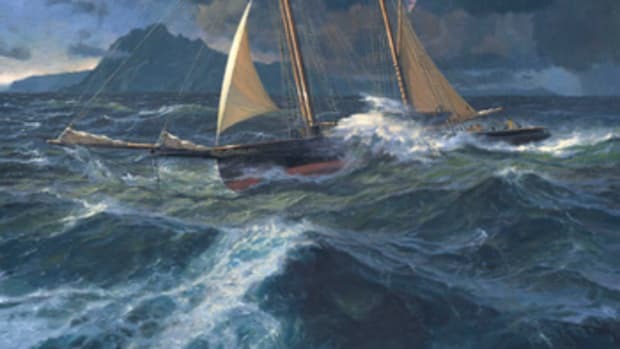 The beginning of the War of 1812 found the United States with some 16 Naval vessels and a dozen revenue cutters to take on not only the powerful British navy but also a fleet of rapacious privateers preying on local commerce vital to the young country’s survival. U.S. victories were few in the beginning, but the sailors’ bravery and determination became a lasting inspiration. 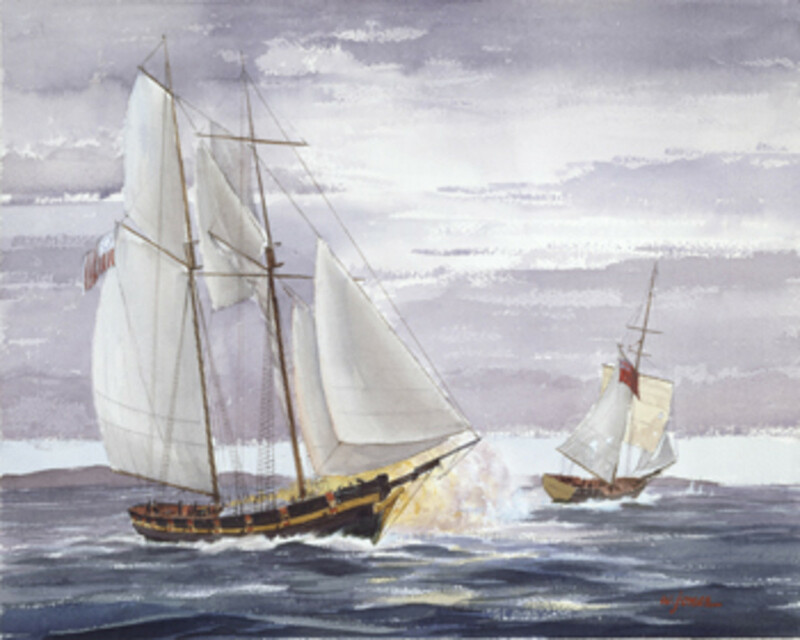 The 60-foot revenue cutter Vigilant’s capture of the notorious privateer Dart was such an event and helped establish the traditions of today’s Coast Guard. Dart was spotted off Newport, Rhode Island, on the afternoon of Oct. 4, 1813. Word spread along the waterfront as Vigilant’s Capt. John Cahoone mustered his 17-man crew along with a group of local militiamen armed with muskets. By 4 p.m., they had sailed out of Newport Harbor. Around 10 p.m. on the clear and moonlit night, a lookout spotted Dart sailing east of Block Island. Vigilant gave chase. Dart was a typical privateer, heavily armed with cannons and swivel guns. The two ships closed for an opening broadside; an officer aboard Dart was killed. Despite the initial success, Cahoone saw that his ship was hopelessly outgunned. Risking everything, he brought Vigilant alongside, and his men swarmed to Dart’s deck. After a short and bloody fray, Cahoone’s crew forced Dart’s beleaguered crew below deck. The battle was over. A reporter for the Columbian Patriot newspaper wrote: “Capt. 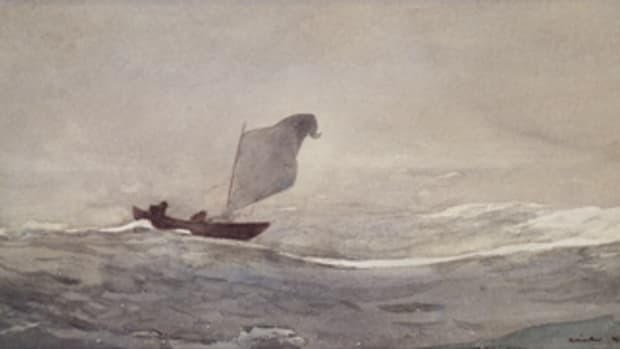 Cahoone, with the volunteers under his command, deserves the highest credit for the spirit and promptitude with which this affair was conducted.” This was the last successful boarding by a revenue cutter in the Age of Sail. 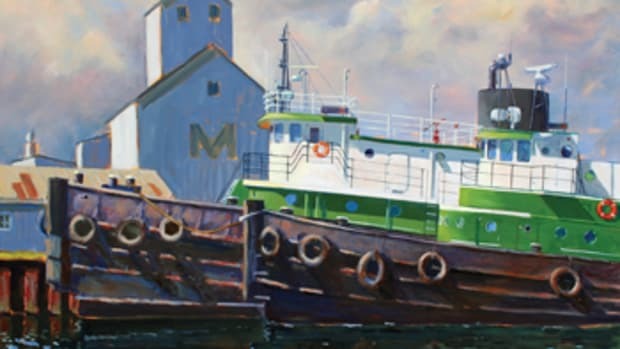 The painting is part of the Coast Guard’s permanent collection. 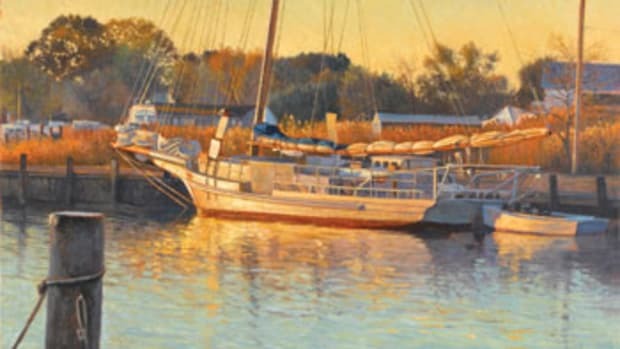 The artist, Walter Jones, was a member of the Coast Guard Art Program and served in the Marine Corps in the South Pacific during World War II as a radio operator and combat artist. 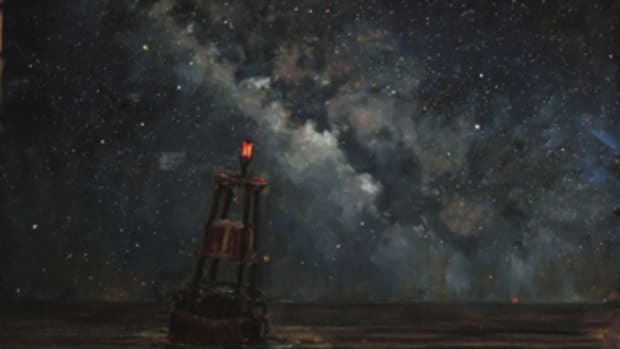 Several of his works are part of that service’s permanent collection as well. 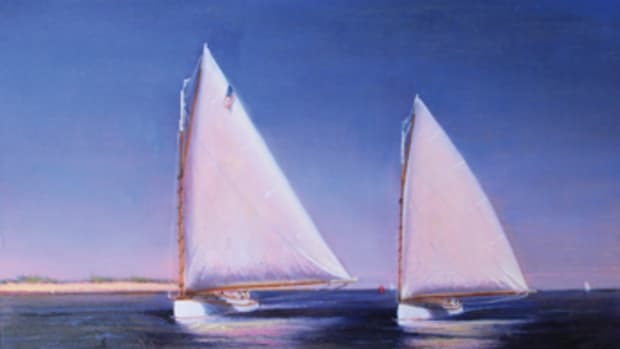 Two catboats run before an afternoon zephyr, returning home at the end of a day’s sail. 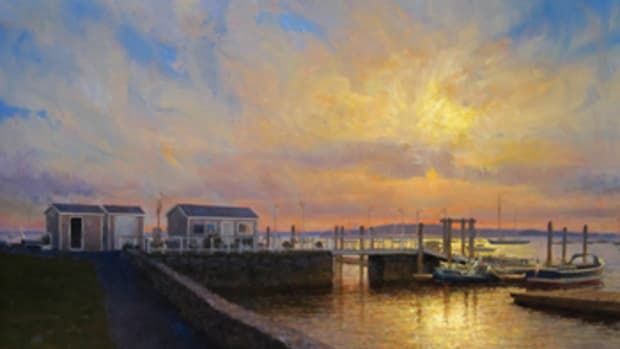 There’s a delicate luminosity, a glow of diffused light, a sense of gentle movement in Peter Arguimbau’s 20-by-30 oil painting. It’s a simple work, but the story behind it is complex and delves deep into art history. 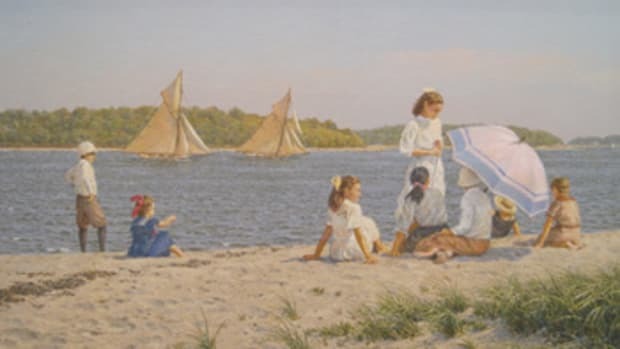 Richard Loud grew up along the Adams Shore section of Quincy Bay in Massachusetts, surrounded by boats and the sea.